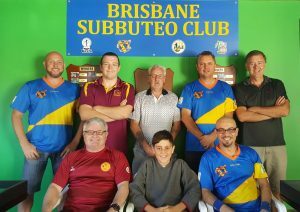 The Brisbane Subbuteo Club’s November 2016 tournament had few missing faces, but we welcomed back Rob who had been out of action for a while, and was good to have our elder statesman back. 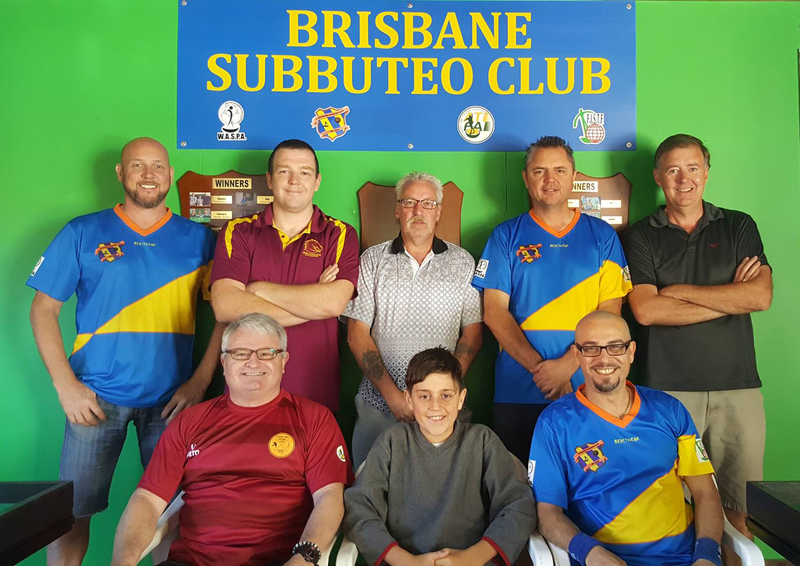 So only six players competed on a warm but pleasant day in Queensland. A league format was played, with the top 4 playing semis and a final. The first round draw registered a groan from Gus, who had lost his previous two games to Andrew B 5-1. 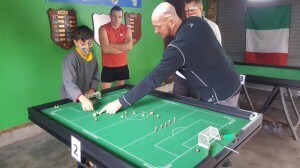 However, Gus managed his defence much better, and last month’s champion had to settle for a 1-1 draw after applying a fair amount of pressure on Gus’s goal. Rob managed a goal on his comeback, which was pretty good even though losing to Australia’s #2 Rik. 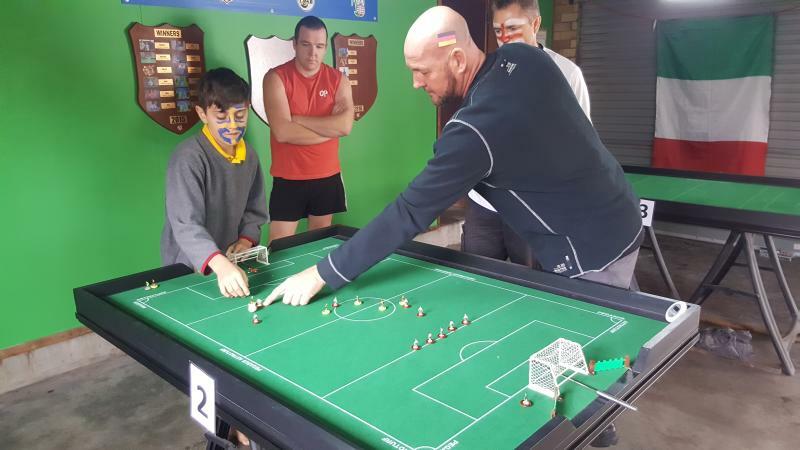 In the other game, young James (9) took on Australia’s #1 Giuseppe, and managed to keep the game to a 1-0 loss (no mean feat). 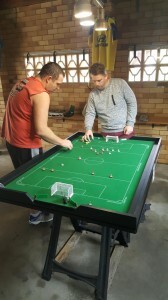 As the players began to relax and find their flick, the goals began to flow. Andrew, Rik and Giuseppe all scoring 3, Gus momentarily fighting back to 1-1 with Rik before becoming overpowered. 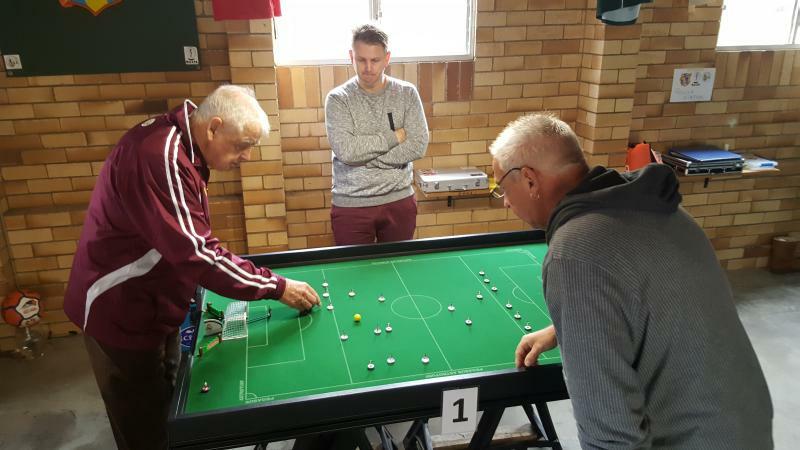 The 3rd round saw a rare 0-0 as our senior player Rob took on James, only 60 plus something years separated the players but the score didn’t. I’m sure James learnt a lot. Rik took revenge on Andrew after his final defeat last time out, with a 5-3 victory (score was 1-1 at half time). 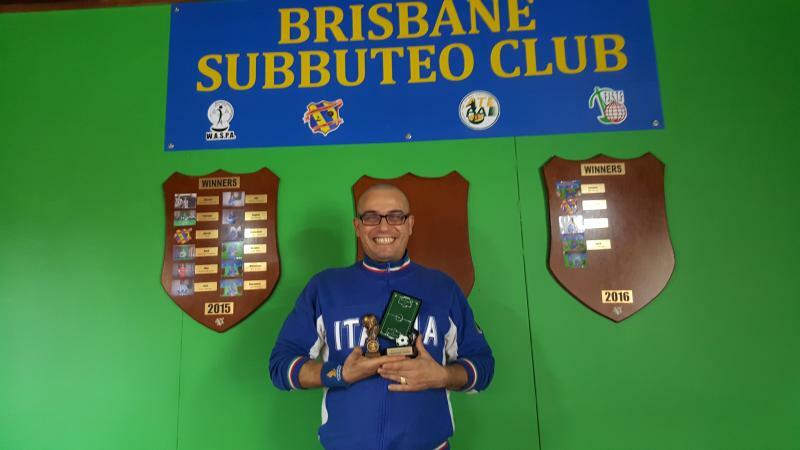 Giuseppe was finding his form as Gus’s defence was ripped apart in a 4-2 thriller. The penultimate round saw the fewest goals, the Bennet father and son derby saw Andrew win 2-0, but Rob really made him work for it. There was also another father and son game with James taking on Dad Gus, and Gus got his first win of the day at James’s expense, but hugs were shared after the final whistle. 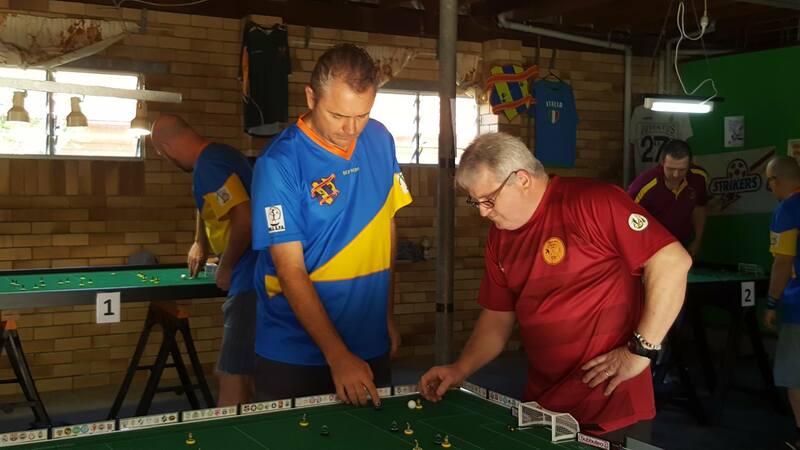 The big guns Aussie #1 v #2 Giuseppe v Rik , Rik edged it 1-0. In the last round, the big game saw Giuseppe beat Andrew B 4 -2, so last month’s winner Andrew who was unstoppable finished 4th in the group. So 1st played 3rd and 2nd played 4th in the semis. The first semi between Rik and Gus was a fast and furious game. 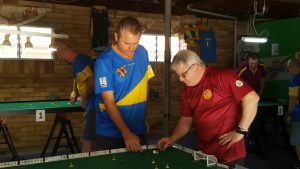 Rik took a 3-0 lead and looked to be set in the final when Gus finally started to find some form, and before you knew it, the score was 3-2. This seemed to stir Rik, who then stepped up a gear and finished convincingly winning 5-2. 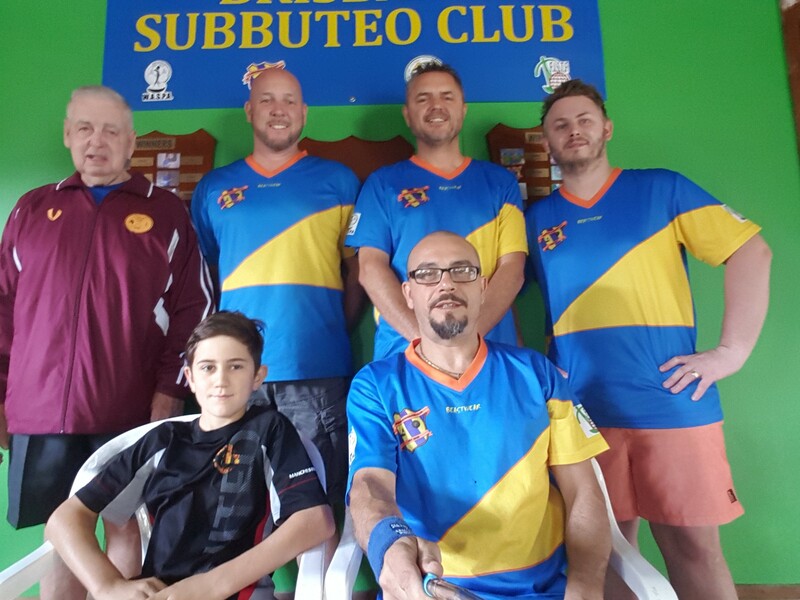 In the other semi-final, Giuseppe took a 2-0 lead and also looked to be cruising, but Andrew got one back and pushed hard for the equaliser which looked likely but was beaten by the stubborn defence and ultimately the clock. 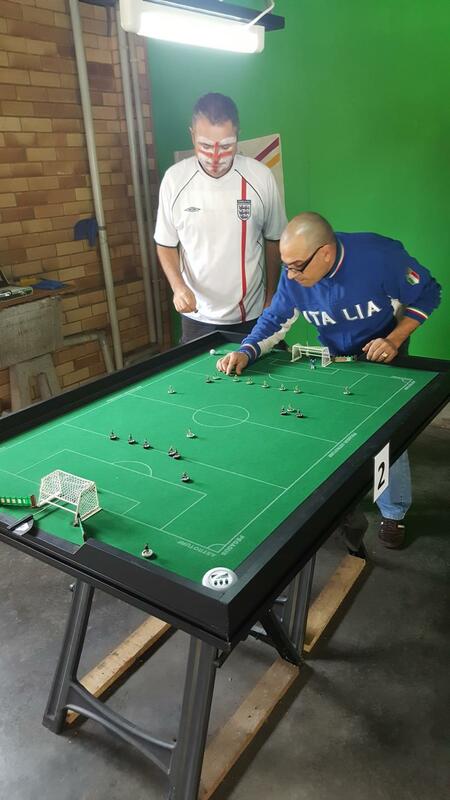 Unfortunately we couldn’t video the final between Rik and Giuseppe as it would have been a classic. Rik was really on his game and after taking a well-deserved 2-0 lead looked to have the trophy in the bag. However, Giuseppe was like a terrier, and kept nagging away. It proved effective, as within the space of three minutes, Rik made two very basic defensive blunders which Giuseppe pounced on like a starving adder. All of a sudden it was 2-2 and the time was ticking. In the end though, Rik composed himself and played a really good counter attack, finishing with probably his best goal of the game. The remaining 90 seconds saw Giuseppe charge but Rik’s Germans formed the Berlin wall and victory was his. Those who play this game would appreciate just how quick 15 minutes can pass, this game seemed to last only 5 in total. Another great day of competition was had by all, another worthy (if not relieved) winner and we are all looking forward to the next tournament. 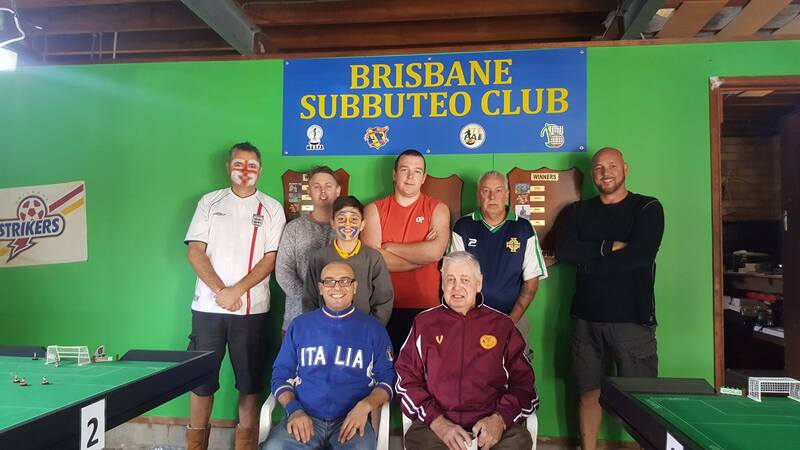 A big thanks as always for the best host Giuseppe, he really looks after everyone, and it’s a great place for all to play. Also a big mention to Rob, who not only made his playing comeback at 123 yrs old, but gave us all a 16 question rules quiz at lunch time which was awesome, so good in fact we have agreed to continue that on as it really helped everyone. 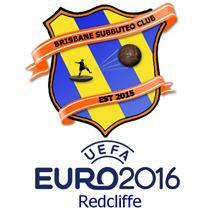 This entry was posted in Tournament reports and tagged brisbane subbuteo club on 28/11/2016 by Giuseppe. 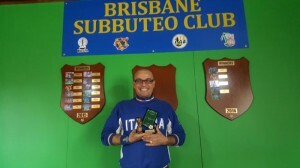 The Brisbane Subbuteo Club leads the way in Australian Subbuteo, being the only club with their own dedicated website. They have had a temporary website in place since their inception in January, but now club member ‘Gus’ Gillespe has built a full featured website. On the site you can find a history of the club, details on upcoming tournaments and friendlies, all their old results, profiles on club members and details on how to get figure painter, Giuseppe Tardiota and board builder, Rik Bland, to do some Subbuteo related work for you. 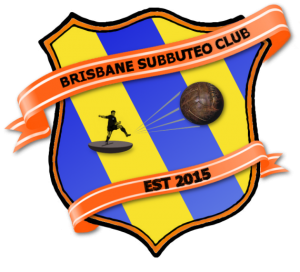 This entry was posted in News and tagged brisbane subbuteo club on 18/10/2015 by ajebec.